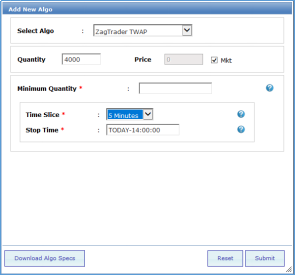 ZagTrader Execution Management System gives the traders the edge they need to achieve the best execution and to enhance their performance. With its advanced real-time analytics, market intelligence insight and smart algorithmic trading, the execution management system also provides you with an unparalleled performance, simple usability and the best tools in the business. 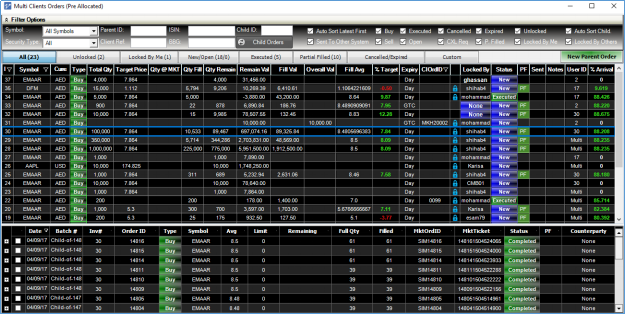 Gain market insight with real-time Level-1 and Level-2 trading windows. Some of what is available! 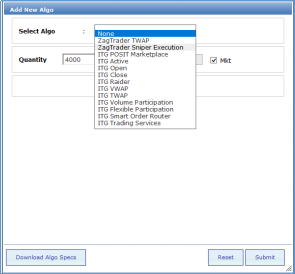 Algorithmic Trading (create your own, use our built-in Algos, or even use 3rd party industry leaders ITG algos that are available through the system. Can be integrated with our back office or with any 3rd party software such as banks core banking systems. 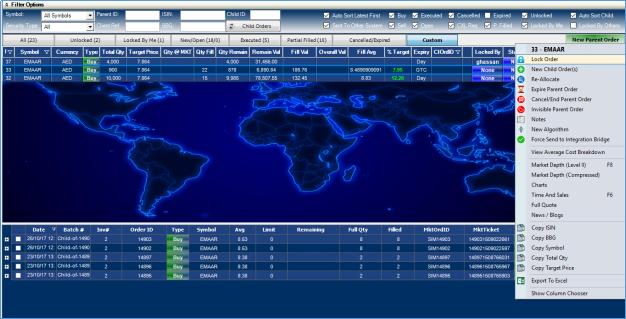 Real-time information and market insight through a superior charting system. Fully customizable with multiple themes: Choose one of our many theme presets or even create your own!